Today I’m coming to you live from the nursery! This room is coming along slowly but surely, little by little. Much like the little bundle in my tummy. This mama is busy growing humans and decorating rooms. And cooking dinner and blogging and vacuuming and attempting to keep my hair from resembling a nest atop my head. But that’s another post for another day. Today I’d like to share with you lovely people a couple of DIY projects that I’ve dreamed up since the last time we talked. By the way, how’ve you been? The baby’s room theme is a woodland/nature/forrest kind of theme and I wanted a sign that would welcome him by name into the world that matched this decor. I didn’t have trouble finding people that would custom make a name sign for us… what I did have trouble with were the prices. I’m on a budget here people! And this is not the only decor I am after for his nursery. Also, isn’t it so much more special when you make something for your little guy yourself? I think so. So, I began brainstorming and dreaming up ideas. 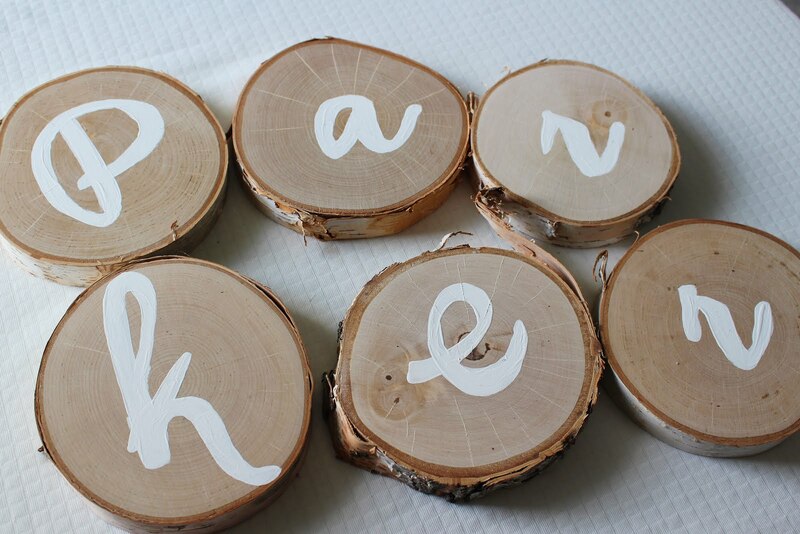 In the end, this DIY Name Art cost me about $20 to make. Totally custom. Totally cheap. Totally fabulous. I never say fabulous. What is happening to me. I need more coffee. I used plain white acrylic paint that I already had in my craft closet, and printed out my own letter stencils. I downloaded a font called Hickory Jack from dafont.com, formatted the size, and printed to trace – easy peasy! See my video tutorial below to see step by step, exactly how I made this sign! 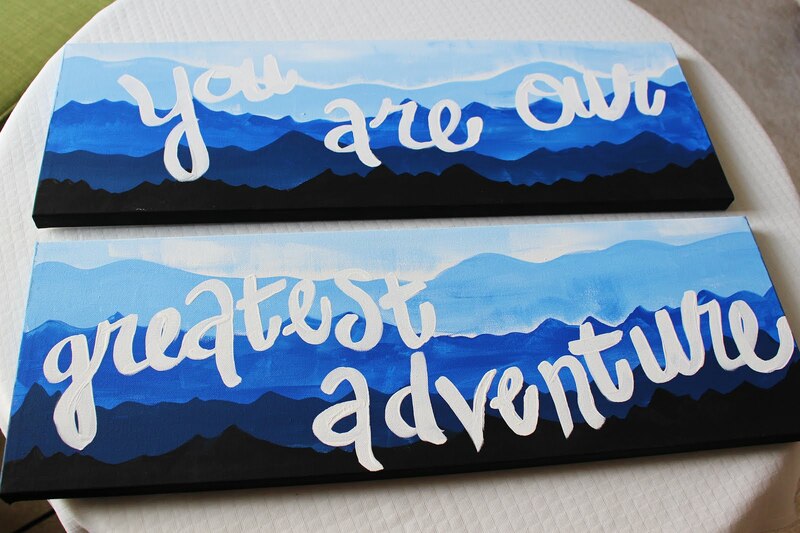 Next up, easy DIY “Greatest Adventure” Mountain-scape Canvases! I have loved the phrase “You are our greatest adventure” since I heard it and have wanted to be sure that sentiment was present in the nursery. Here we go again with the DIYs! I knew that I didn’t want to just paint this saying on the wall. Our home now is not our forever home and I want to take this art with me when we move on one day. So I decided to paint on plain canvases. These guys are inexpensive, look very professional, and don’t necessarily require frames (keeping cost down). However I didn’t want to just slap any old words on a blank white canvas – where is the fun in that? I wanted something that, again, went along with the nursery theme nicely and added a bit of a personal touch. 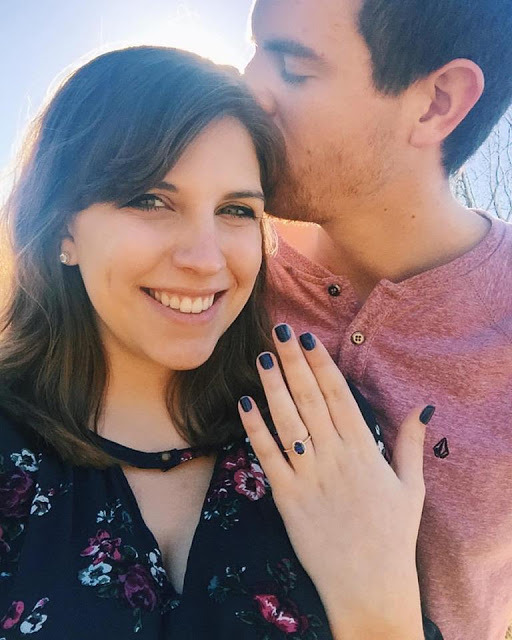 As you guys may remember from THIS post, my fiance and I got engaged in the Blue Ridge Mountains of North Carolina this past winter and it was our most romantic, special vacation together yet. It is part of what inspired the theme of the nursery and I wanted to work in this special place in a personal way. So when I was thinking of what to paint as the backdrop to this oh-so-special message, what would be more perfect then the Blue Ridge Mountains? Since I am not a painter and have absolutely no experience in fine arts (is crochet a fine art?) I wanted to keep this simple. See this project start to finish in the video tutorial – anyone can paint this canvas! Be sure to watch out for more nursery updates and DIYs coming soon – there is lots more to do and I have until May to do it – wish me luck!